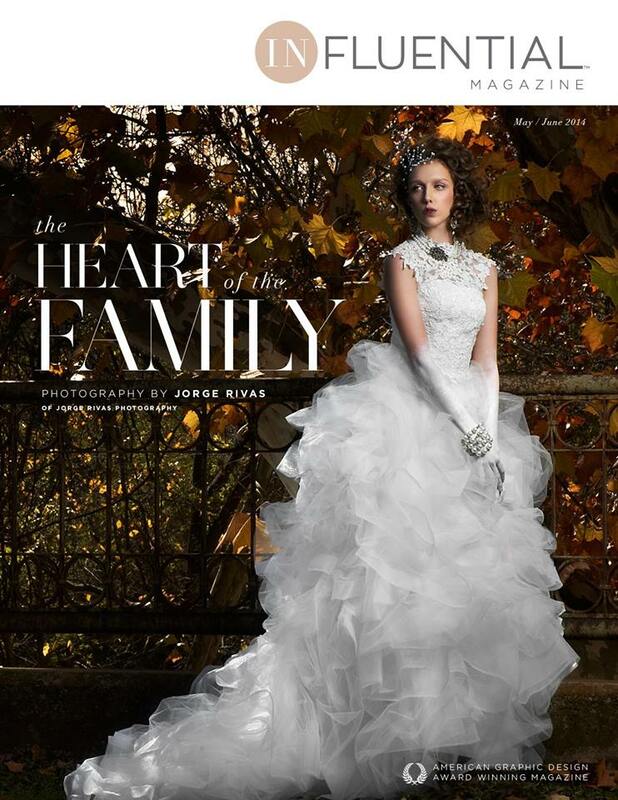 This beautiful magazine cover and fashion editorial came together using the stunning designs of Binzario Couture. 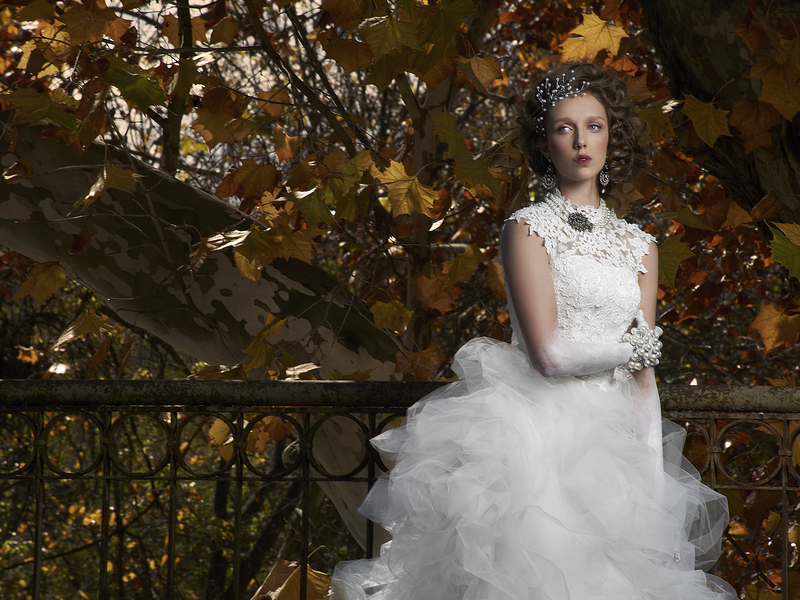 The session, which was photographed as the foliage was turning from fall to winter here in Dallas, Texas, seems to come right out of a fairytale. The hair and makeup by Walter Fuentes showcased gentle washes of rose and bordeaux stains on the cheeks and lips. The skin was left with a satin finish and highlighted with pearlescent and gold tones using NARS Highlighter in Albatross and the Foreplay Palette. Faux elbow length gloves were handpainted in White Acrylic Paint by MAC to add a twist on a traditional element. The hair was set with a 3/4″ curling wand alternating directions of curls to create maximum texture. The hair was then finger raked and arranged organically as to conserve the ringlets. The shot of her by the water inspired me to make a headpiece of white feathers to simulate a White Swan. The hair for the shot of the dark blush gown was brushed out completely with a Mason Pearson and finger backcombed.